We are very excited about the new addition to our practice. We have recently brought in the Sciton JOULE platform system to our MedSpa. 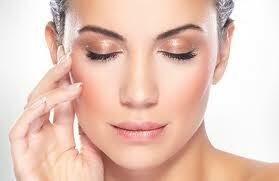 This platform laser/light system offers a wide variety of skin care procedures for many different skin conditions. We can treat everything from fine lines and deeper wrinkles to hyperpigmentation, rosacea and acne and even sagging skin. There are several different treatments available with this system that can be done alone or combined for the best possible results. If you are not quite ready for surgery or just don't think that is the direction you want to go, these treatments can address all of your skin care concerns in Kansas City area. We are offering 12 months deferred interest financing on all treatments offered with this laser as well as our Vectus Laser Hair removal through Care Credit. The BBL(Broad Band Light) treatment helps with the treatment of hyperpigmentation(sundamage, sun spots, freckles, light melasma), roseacea and red vessels/veins and acne. With a series of treatments with no downtime you will end up with a glowing even complexion that you would have wished you had done years ago! Skin Tyte is done with the BBL by heating up the collagen for remodeling and growth. A series of these treatments with help firm loose sagging skin anywhere on the body. If you are not ready or are not comfortable with going the route of surgery this is the perfect treatment for you. A series of treatments are needed to see the best results. This treatment removes a thin layer of skin to improve the over all skin quality. It helps with fine lines, skin tone, texture and superficial hyperpigmentation resulting in a more youthful appearance. This procedure is a great addition to the BBL and can be done at the same time. There is limited down time associated with this procedure. This treatment is amazing for stimulating new collagen growth and improving the skins tone, texture, wrinkles and some scars. This treatment is quick and also has very little downtime. If you are ready for the skin you've always wanted contact Kansas City area Missouri Licensed Esthetician, Keri to schedule your complimentary skin evaluation today. Stay tuned to our Monthly Specials page for introductory offers.